Accidents are no joke as lives are at stake whenever a mishap happens on the road. A slight loss of control can cause a domino effect of accidents, like this case that happened recently. 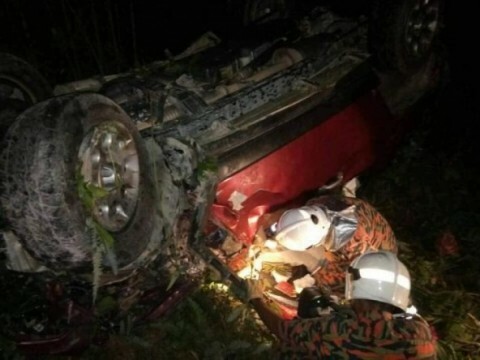 A collision involving four vehicles happened at 8.30pm at Km132 of the East Coast Expressway (LPT1), where two individuals died on the spot, reported NST. One of the victims were businessman Low Kim Boon, 65, who is believed to be from Kuantan and was travelling to Kuala Lumpur. The other victim was Nur Rashila Rosdan, 22. Both of them were thrown out of their respective vehicles at the point of collision. However, this was no ordinary accident as the police discovered some very suspicious items at the accident scene. Temerloh district police chief ACP Zundin Mahmod said they found a Smith & Wesson pistol and a pump gun with two bullets inside one of the vehicles, reported Malay Mail. Also found were 23 Rimba 12 Bore bullets, 35 Mega 12 Bore bullets, a Buck Shot 12 Bore bullet and two boxes containing 88 9mm Br.C S&B bullets. “Initial investigation revealed that the firearms and live bullets belonged to a businessman (who got involved in the accident) following the discovery of his firearm identification card,” he said when contacted here on 18 July. 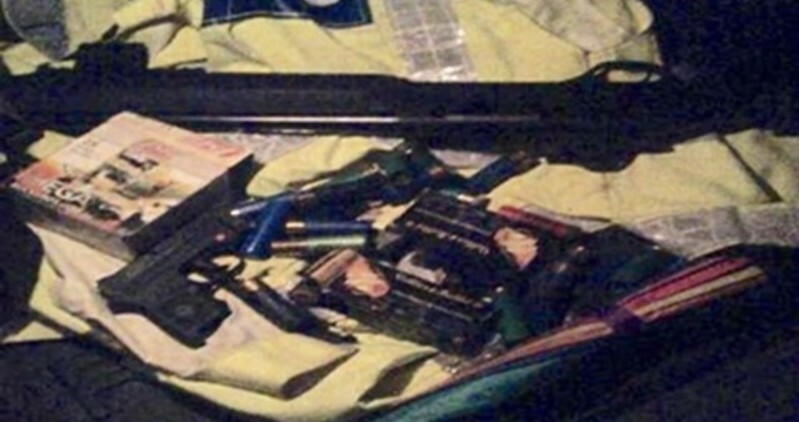 Zundin said the police had seized the firearms and ammunition for further investigation. According to Pahang Traffic Investigations and Enforcement Department head Superintendent Kamarulzaman Jusoh, Nur Rashila was heading towards Temerloh in her Perodua Myvi on the fast lane, when she crashed into a lorry on the slow lane. The Myvi then crashed into a Toyota FJ Cruiser, which Low was driving. The impact launched the Toyota into the opposite lane before it crashed into a ravine. Right after, a Proton Iswara crashed into the Myvi. 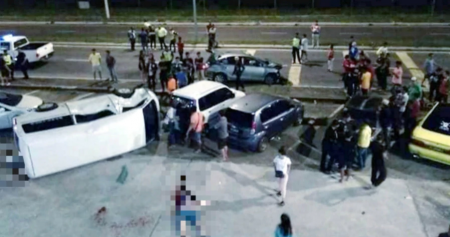 “Witnesses claimed that Nur Rashila, who works as a draughtsman, had lost control of her vehicle which led to the accident,” Kamarulzaman said in a statement on 18 July. He added that the lorry driver Che Sharif Saad, 43, and the Proton Iswara driver Sheikh Mohd Haniff Sheikh Hashim, 61, escaped unhurt. Kamarulzaman said the victims were taken to the Sultan Haji Ahmad Shah hospital here and the case was investigated under Section 41(1) of the Road Transport Act 1987. 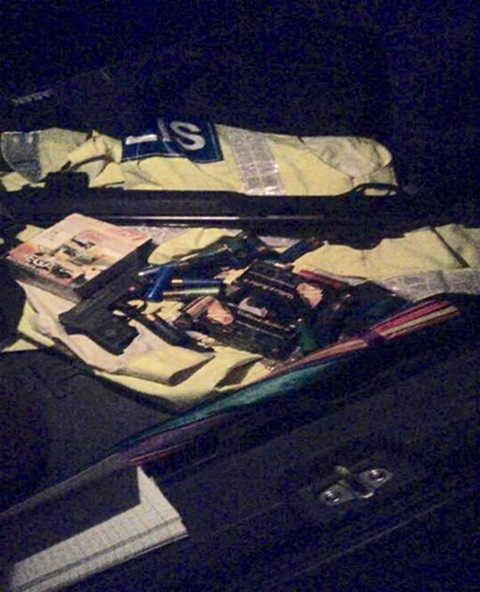 We wonder how the businessman had so many firearms and live bullets in his possession! What do you think of this discovery? Tell us in the comments!